English and American cocker spaniels are both beloved breeds of dogs in the United States and United Kingdom. While they have similarities, the breeds are clearly different. The cocker spaniel originated with most other spaniel breeds in Spain and were moved throughout Europe by the Romans. "Cocker" spaniels were bred specifically to hunt woodcocks. As they were brought to the U.S., people started to breed more for show and companionship. Both versions of the cocker spaniel were considered the same breed until the 1940s when it was clear U.S. and British breeders had moved in separate directions, and the dogs were no longer the same. The American Kennel Club recognized the English cocker spaniel and the cocker spaniel (the American version) in 1946. However, in the United Kingdom, the name cocker spaniel refers to the British version and the U.S. version of the breed is called the American cocker spaniel. 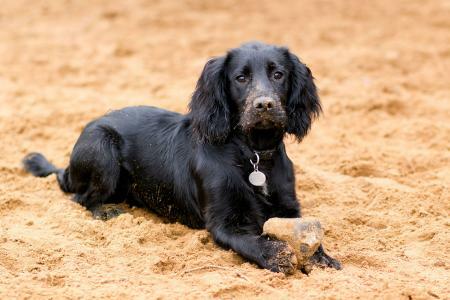 Because the English and American cocker spaniels have been bred over time for different purposes, many of their most striking differences are physical. English cocker spaniels are bigger than their American counterparts. An English cocker spaniel weighs 26 to 34 pounds and is 15 to 17 inches high. American cocker spaniels are 12 to 13 inches high and weigh between 24 and 28 pounds. The American cocker spaniel has a rounder head with eyes that are bigger and rounder and placed more to the front of the face. The English cocker spaniel's eyes are set more on the sides of the snout which is longer than the American's. An English cocker spaniel also has distinctive longer ears. The American cocker spaniel has a long coat while the English cocker coat is medium-length. American cocker coats also have more feathering. Both breeds' coats come in a range of colors, although English cockers can be any color without disqualification with the AKC in the show ring. American cockers' color requirements are more specific for show dogs. Both breeds require daily brushing, and show dogs require additional care including stripping and trimming. English and American cocker spaniels have different temperaments due to their breeders' focus. English cockers have a much stronger prey drive as they are still used heavily in the United Kingdom for this purpose. While American cockers are still used in hunting, they are bred more for companionship and the show ring. 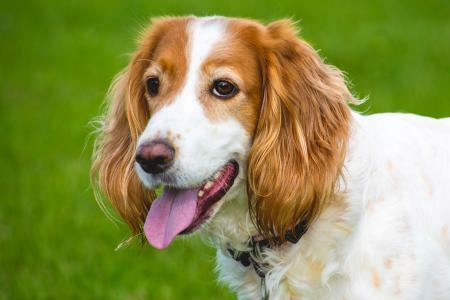 Both breeds are known for good temperaments and are excellent family dogs, although English cockers can be more difficult if they don't exercise enough. Both also do well with other dogs and pets, and both are good with children, although it's best that younger children be supervised and taught to interact properly with dogs. 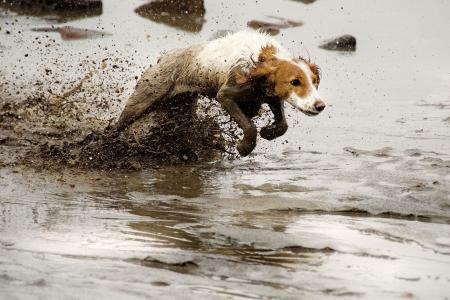 Because English cockers are still bred for field work, they tend to be more energetic and active than their American cousins. They require daily walks and love being outdoors. 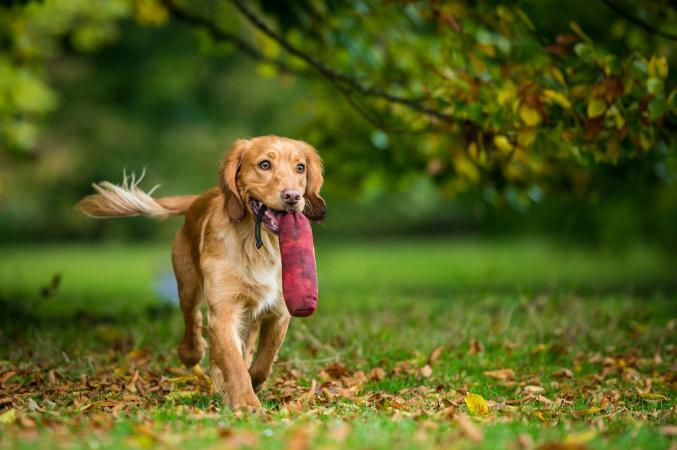 If you are active in activities like hiking, camping, and hunting, then the English cocker would love to be your outdoors companion. You can find examples of both competing in dog sports such as agility and working with people as therapy dogs. Despite their energetic nature, they still are good choices for apartments due to their size and genial temperament. Cocker spaniels of both types are very intelligent dogs that are easily trained. Both were bred to work closely with humans as hunting companions, and they adapt well to positive reinforcement training. As with all breeds, early socialization is important with puppies of both types. 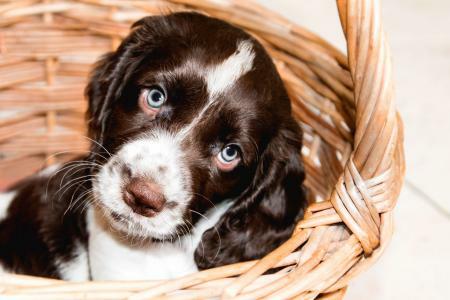 If you decide you want an English cocker spaniel, you can visit the AKC website to find breeders. Another excellent source for breeders and rescues is the English Cocker Spaniel Club of America. The Petfinder website is also a source for finding the breed in rescues and animal shelters. 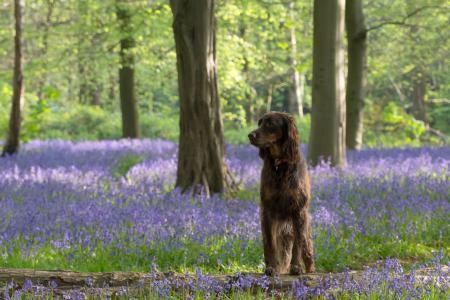 If you're looking for a gentle, friendly companion that does well in an apartment or out in the woods on a hike, both the English and American cocker spaniels are excellent choices. The English cocker is bigger and more energetic and might be a better choice for a more active person or family.